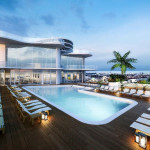 The sky is the limit for recent Miami condo developers, as they continue to push the boundaries of building heights, surpassing the horizon with sky-high residential buildings. 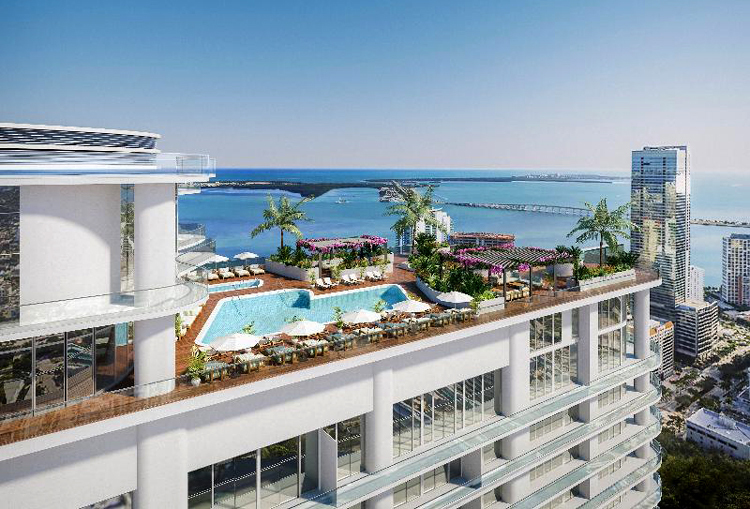 The demand for luxury residential living with full-service amenities and 360-degree panoramic views in downtown Miami continues to grow. Miami residents will soon be able to sleep above the clouds and take a dip above the skyline in downtown Miami’s new Brickell Flatiron tower. 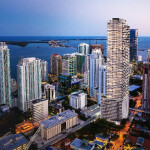 Scheduled to open in 2018, Brickell Flatiron is set to become the tallest all-residential building south of Manhattan. This 64-story glass skyscraper will begin construction this fall by developer CMC Group, with the help of Revuelta Architecture International and interior designer Massimo Iosa Ghini. 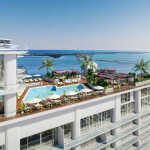 With 50 percent of the 549 units sold, Brickell Flatiron sets the pace for high-end living with a unique Sky Spa at the 65th level that will include a rooftop pool, spa, and fitness center. At 736 feet above street level, “a lifetime will never interrupt the views from the south,” says Luis Revuelta, commenting on the height of the building. On the inside, Massimo Iosa Ghini created a seamless design by combining the fluid aesthetics of the exterior with the interior, with glass screens, onyx and ivory marble finishing, lighting and backlighting effects, along with blond and brown metal details. “The style of the design is the idea of attainable exclusivity,” says Massimo Iosa Ghini. With past projects of designing Milan’s new Ferrari store and the IBM IBM +0.62% Executive Briefing Center, his idea to combine fine and rich furnishings with raw and natural energy-saving materials is a refreshing turn for the Miami skyline. 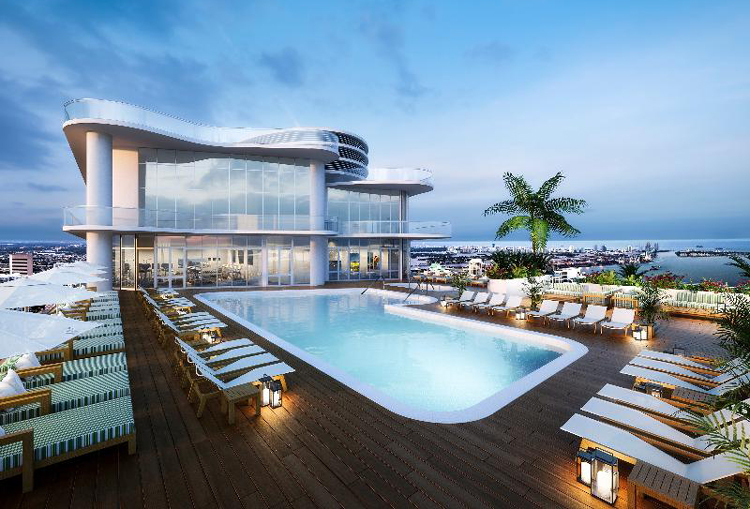 Located at 1001 South Miami Avenue, preconstruction sales of these downtown residences are averaging around $750 per square foot. 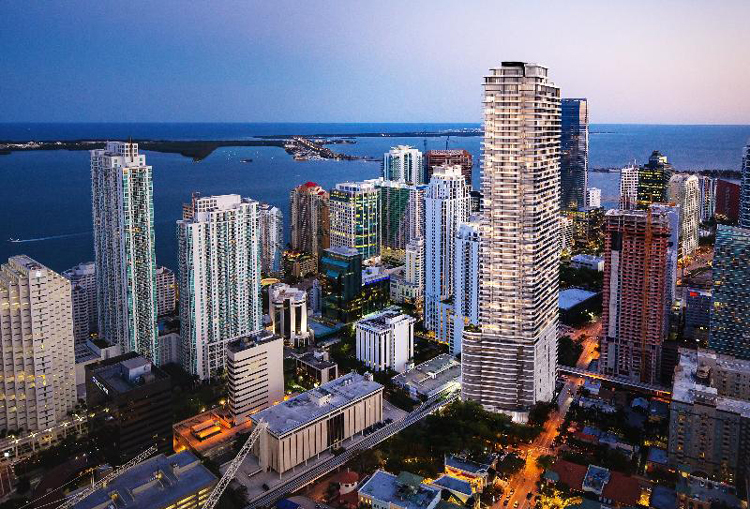 For more information about Brickell Flatiron, you can contact CMC Real Estate at 305.400.7400 or visit the sales and design gallery at 1001 South Miami Avenue Miami, FL 33130.